The starburst rug match my decor, keeps my feet warm sitting on the couch, and I need another to put under my desk for foot comfort and bare toes!!! 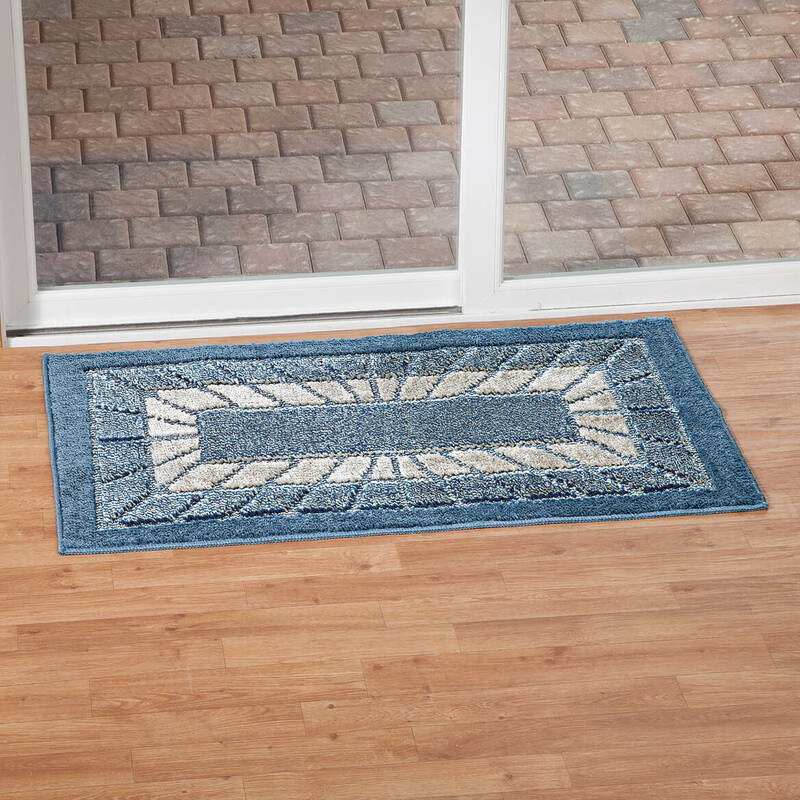 Perfect non-slip rug used in entry way from kitchen to living room. Perfect for elderly lady to prevent her falling. Machine washable - easy to care for, recommend hanging on clothes line for drying. Love the colors. Will be checking for larger size for bedroom. Love this rug! 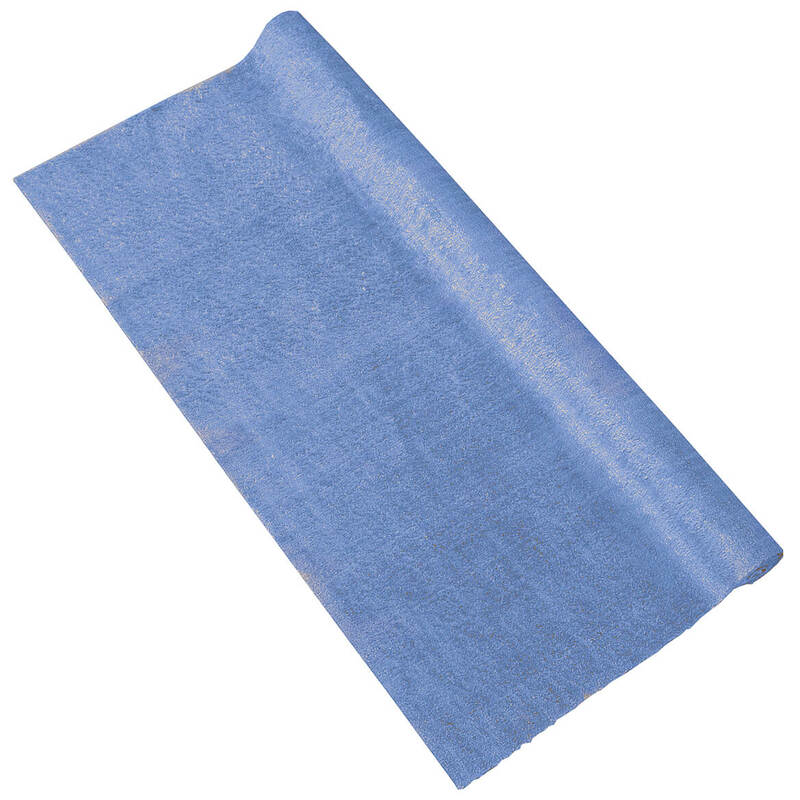 Hard to find a non-slip pretty rug. Thank you! 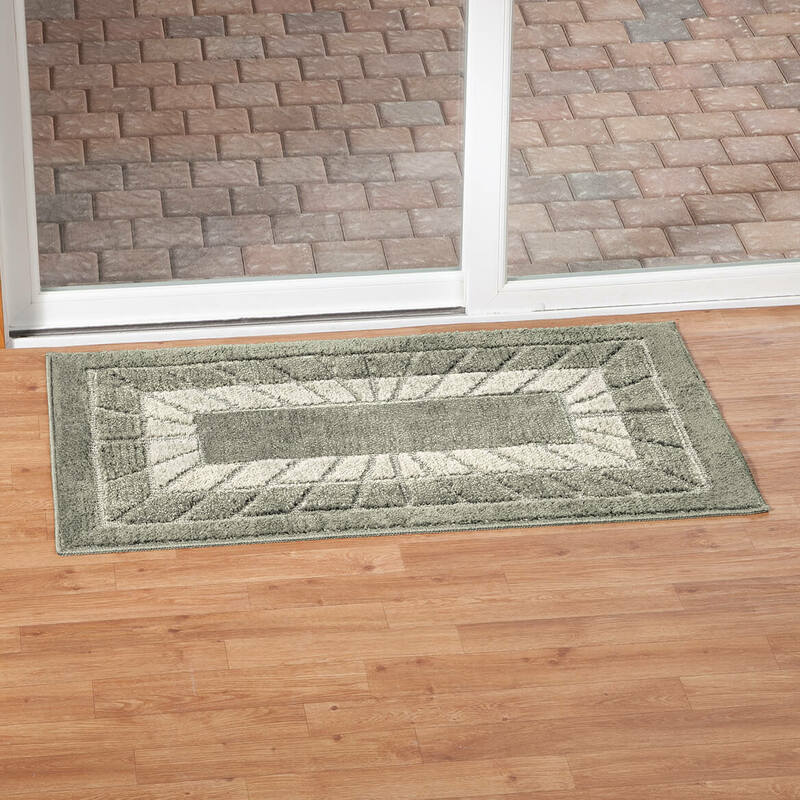 I ordered a little rug to go where we first step into our living room from outside. 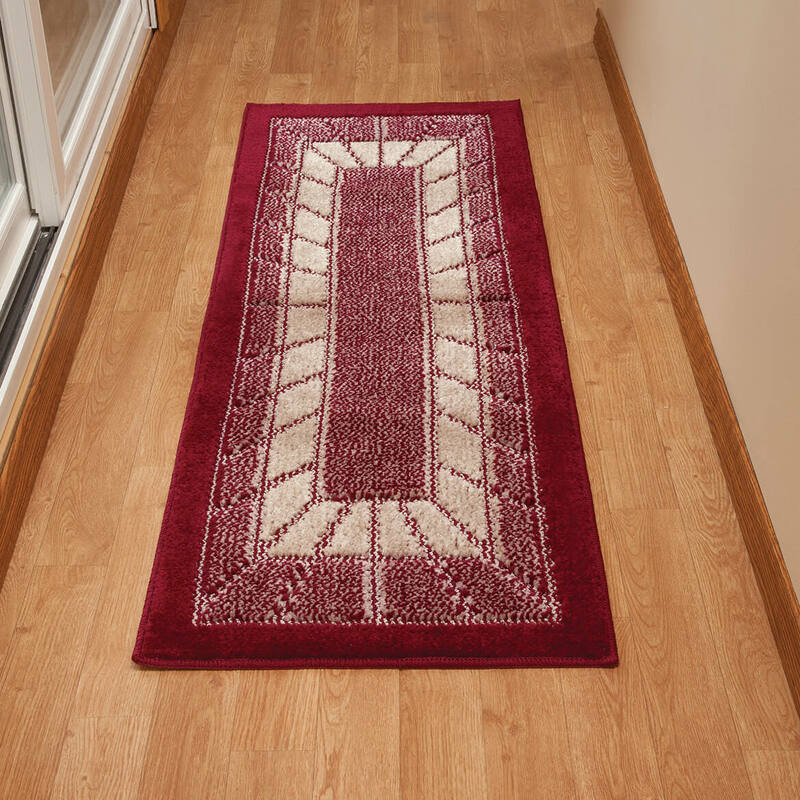 It really looks nice and blends so well with our rug and furniture! I am very pleased with the rugs. They brighten up my kitchen. 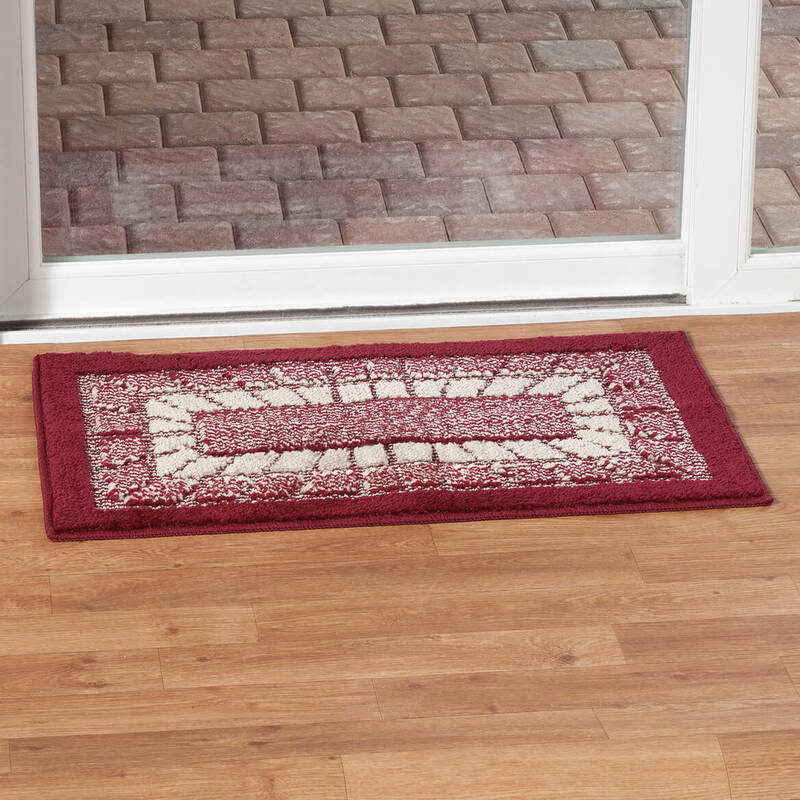 I use these rugs for door entries. I bought these because they were the perfect size and color for my bathroom makeover. I like the design and the colors are true to the picture. 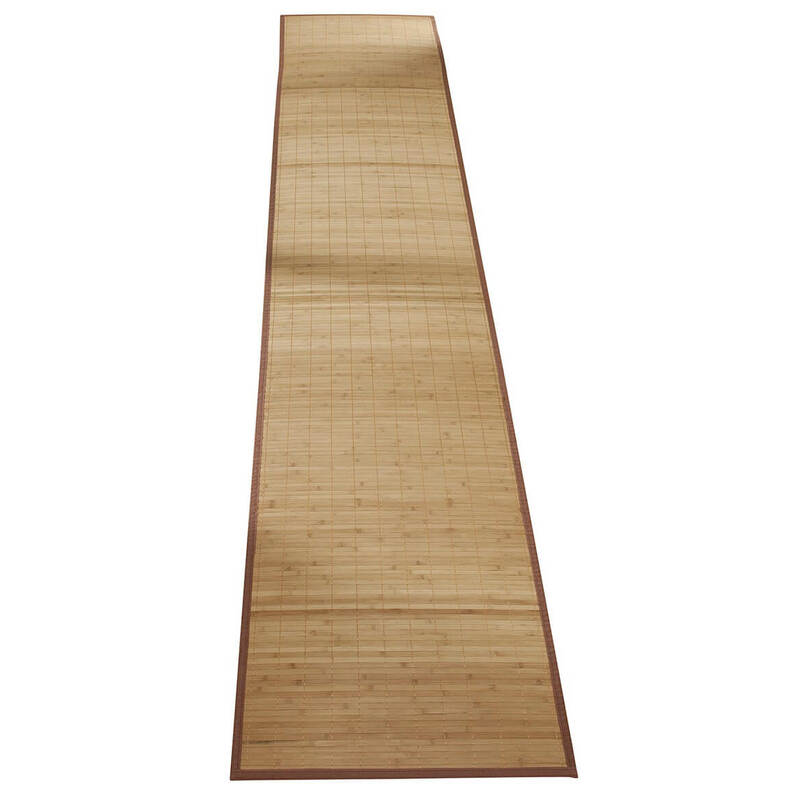 I like that they are low profile so my bathroom door will actually shut with these on the floor unlike my previous bath rugs. I also like that they stay in place on my ceramic tile. What I don't like is that your socks stick to them a bit when you walk across them. 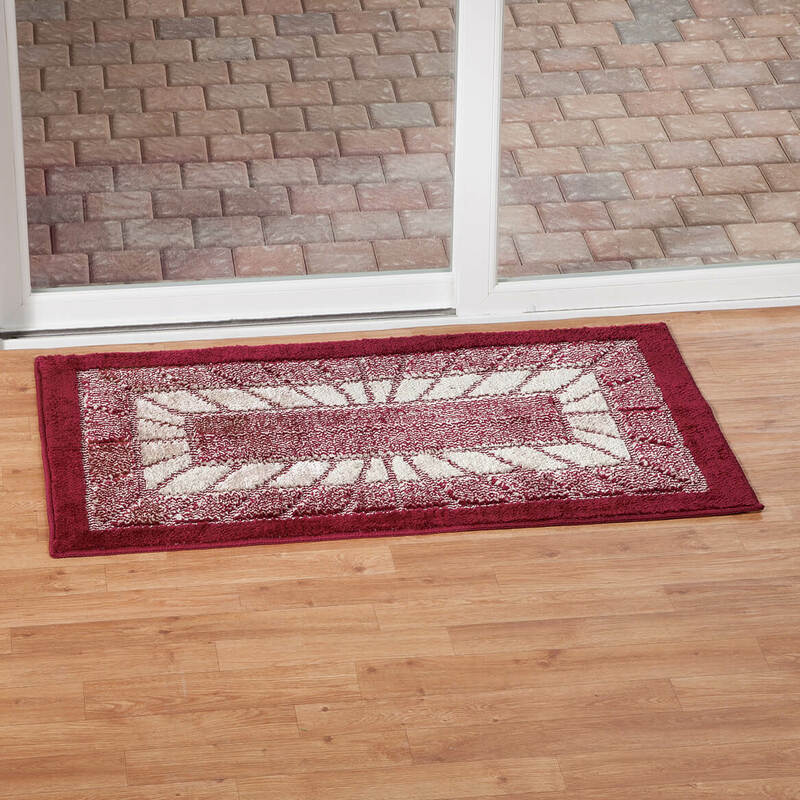 These rugs are so thin that the dark thread shows through and makes the burgundy color look dull and looks like it's dirty even brand new. It's too thin and looks dirty right out of package. I could live with thin but it is not bright as shown in the picture. Would not buy again but not worth returning and paying postage. Goes with my house colors. For the kitchen floor of course 🤗 I do need curtains to match. Do you have any? I didn’t see any that would match. Thought that would be pretty for the first thing you see as you come in. Exactly the rug I was looking for in the right color. 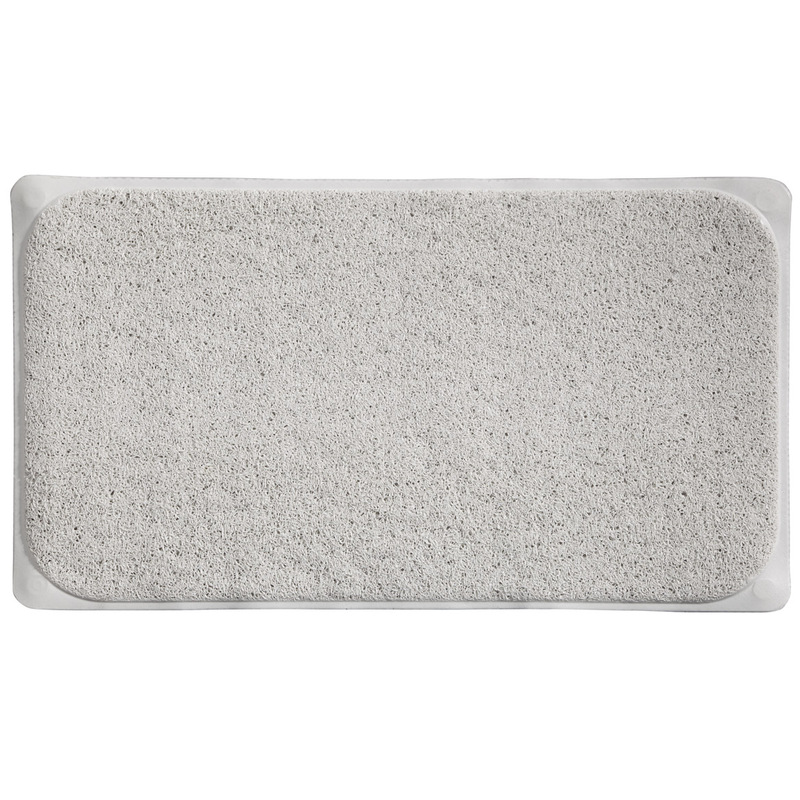 I use these types of rugs in the kitchen and bathroom because they are washable and non-slip. Quality replacement for my existing mat. Nice long rug and think the color is very pretty. 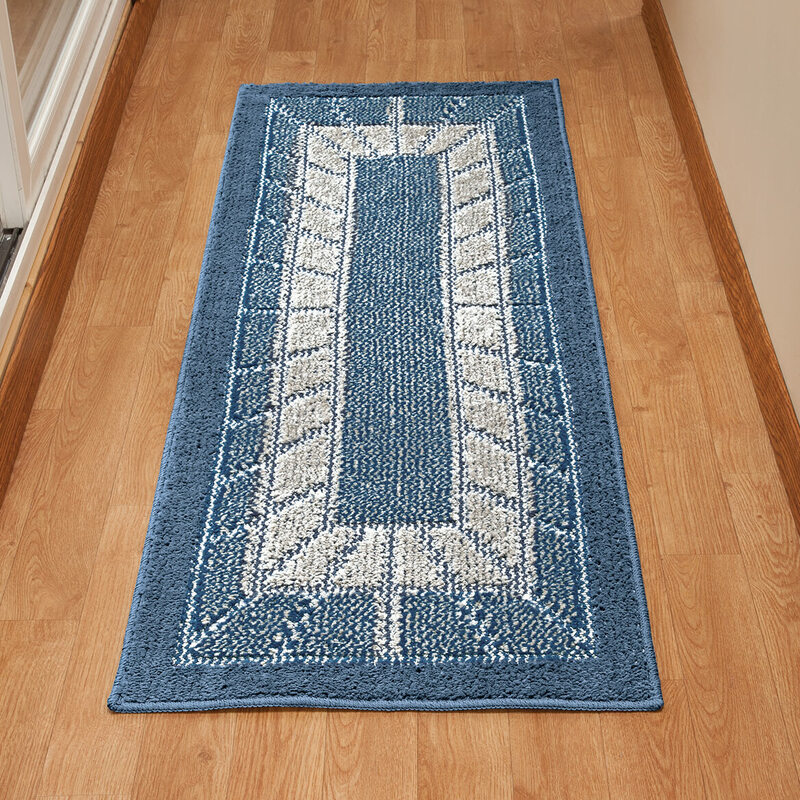 We got one rug like this for our hallway and needed another. Since we like this one so much, we were happy ordering another one. I ordered two of these rugs and they exceeded my expectations. I have them in my kitchen in front of my stove and sink. My husband just asked me to order two more for the office bathroom. 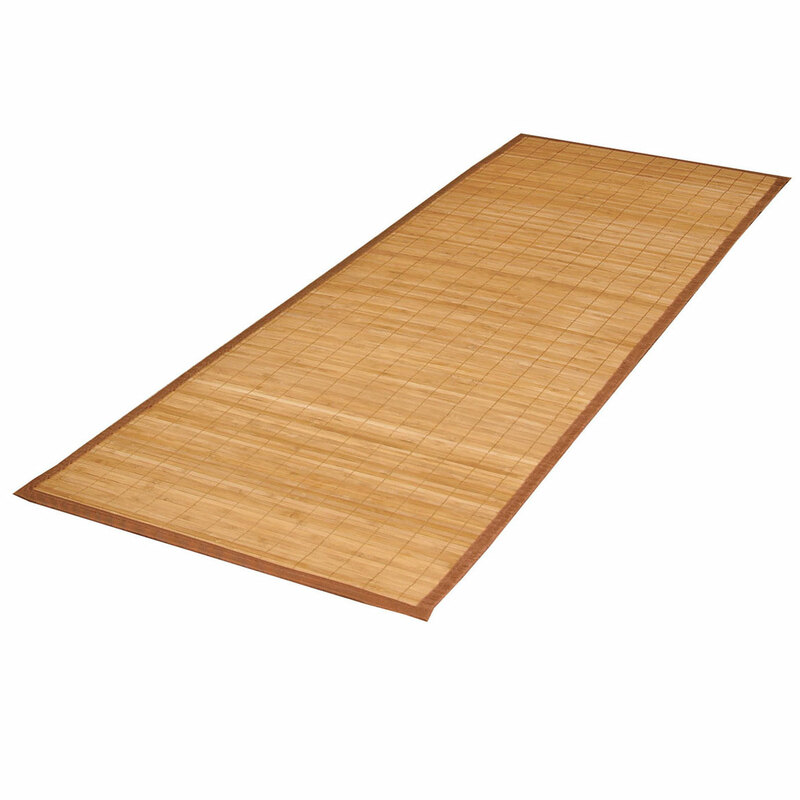 They look very rich especially on wooden floors. matches my kitchen perfect, right in front of my sink. it was a longer length that I had trouble finding. It was a good price and worth a try. 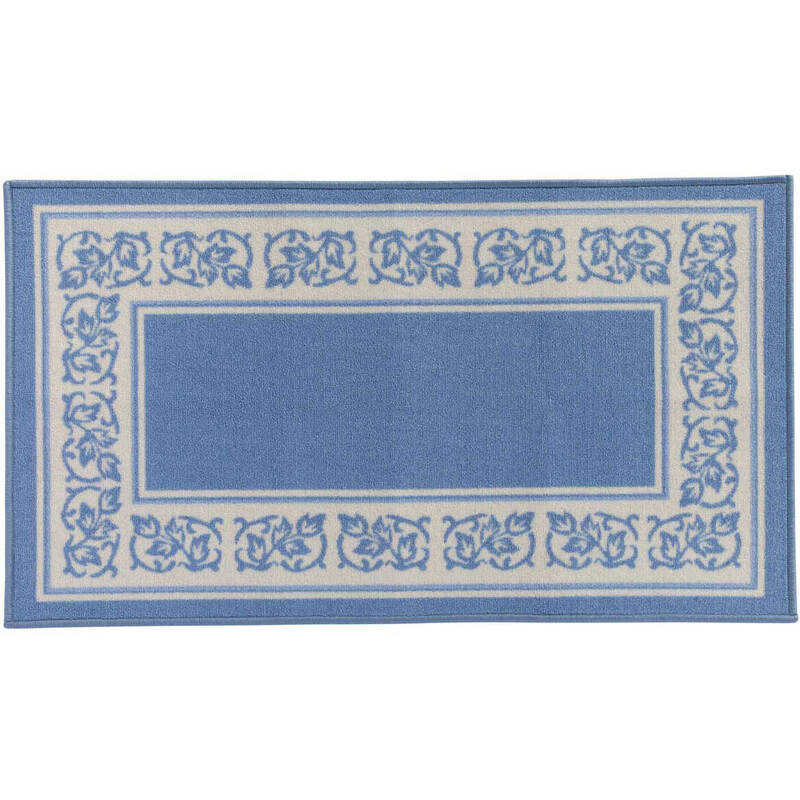 I needed new rugs and these caught my eye, and the price was right. 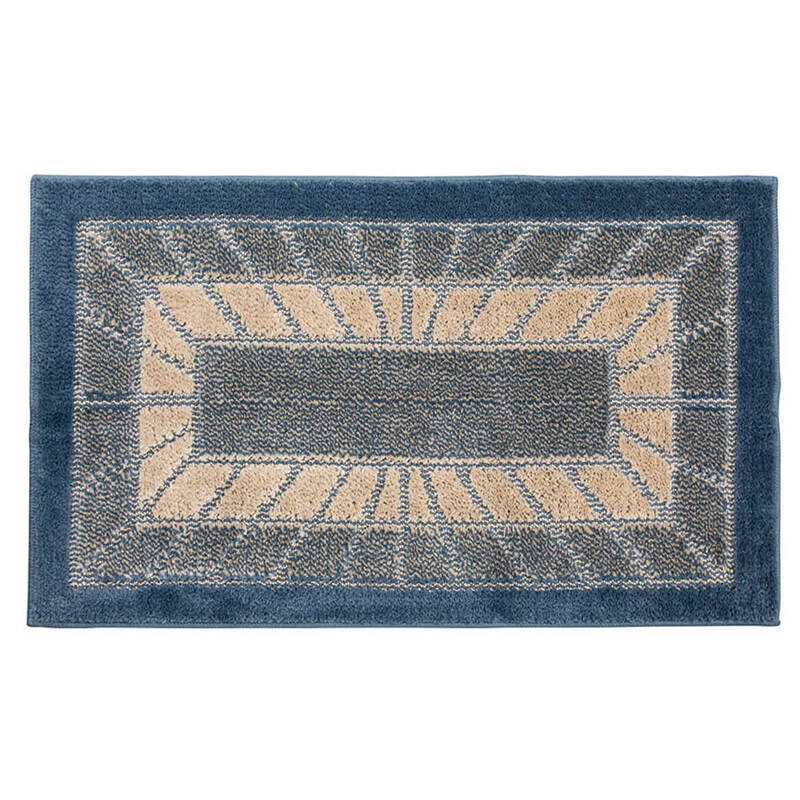 I Liked the looks of this rug in the catalog & it was a good price. The compression socks are also a good price & I can't seem to find them in my size at any store that I have looked also in navy blue. I needed them for my kitchen floor and it was time for a change. Right color & size for space needed. Liked color, size, and because it is washable. 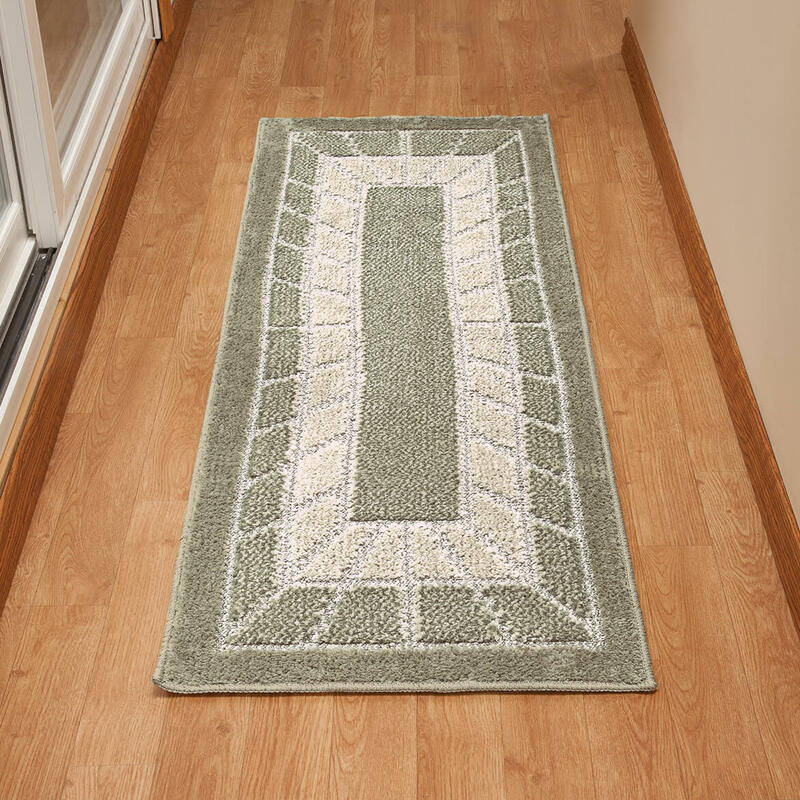 Love front door rug. Want to match at kitchen sink! Liked the rug and the sizes. add to my kitchen dÃ©cor. We need some runners in front of our couches. I liked the colo/design & it was on sale. I really like the play of color and texture on tese rugs. 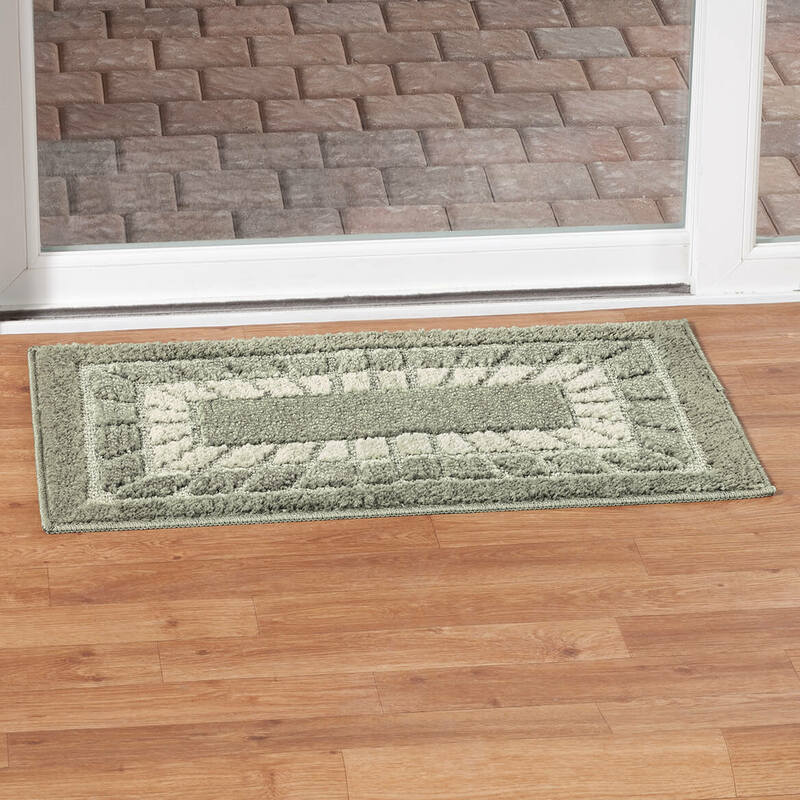 The brown runner will be perfect for my entryway. Need something for front door. It matches our guest bathroom decor and size is what we need. Does this tug shed water? BEST ANSWER: Thank you for your question. The colors are blue, burgundy and green. We hope this information will be of help to you. I really cannot answer that. All the colors that you see advertised must be what is offered. Sorry. BEST ANSWER: Thank you for your question. We do not make the products, we sell them only. We hope this information will be of help to you. r these rugs soft in feel?